Although I am not an avid sports fan... I often find myself in front of a TV with a game on. As a Boston fan it is sad to see Terry Francona leave the Boston Red Sox. 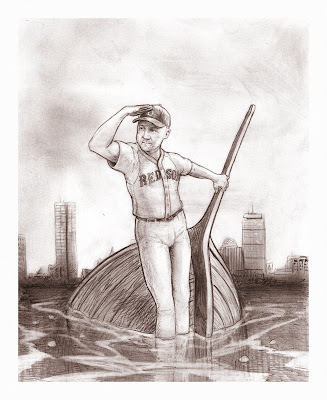 Whats next for the Red Sox... I have no idea. Clearly, I am not writing this post to talk about sports, it's just not my thing... but instead using this as a gateway to introduce to you all a friend of mine with amazing talent. Made of Lines- The Art of Kevin M. Barry - you won't be disappointed. I have been very busy with new projects, so stay tuned for some Halloween fun along with fun new flowers for the shop. That's all for now.